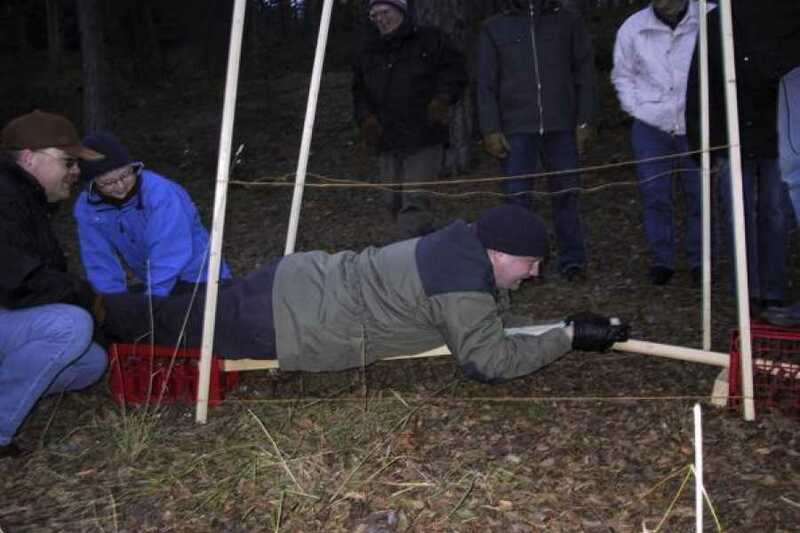 The purpose of the Leg Stretcher is to get the participants to know each other better, as well as to get them to relax and make them think of something different. During this activity, which runs for approximately 20 minutes, the participants will receive a problem solving/cooperation task that isn't physical at all. This activity has no competitive feature, and its sole purpose is to get the participants to relax and get them to become a tighter team and have fun. We have an array of team training tasks depending on the number of participants and season.